IQ's Corner: Does working memory training work? For whom..and why or why not? Does working memory training work? For whom..and why or why not? "Under which circumstances, and for which person, can WM be improved and why?" The above title is a quote from a new article by van Basian and Oberauer (2013) that provides a balanced treatment of issues that should be examined when evaluating the wave of working memory training articles that are being published at a steady stream. 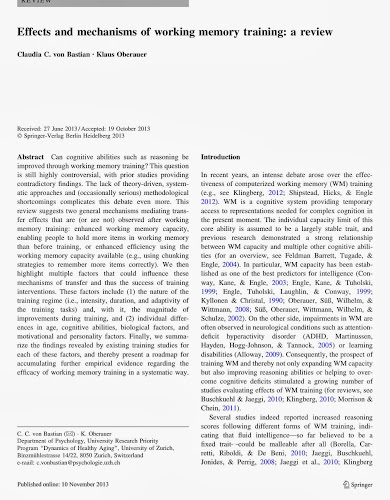 They reviewed over 40 different working memory intervention studies. 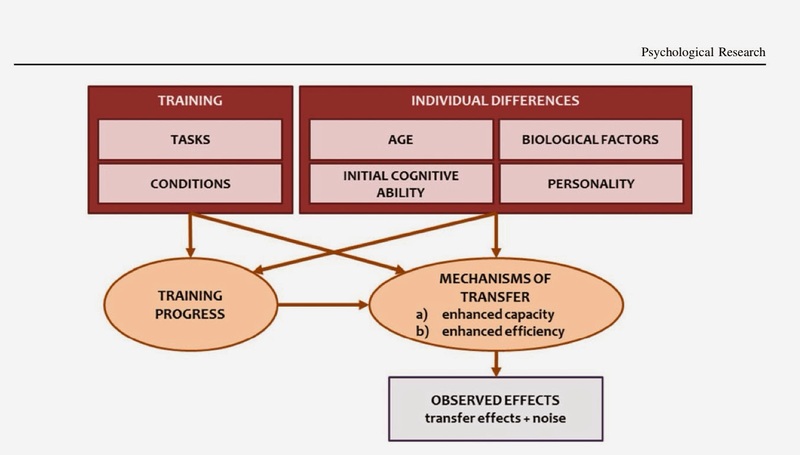 I particularly like the visual model of possible factors/mechanisms that should be considered.